Some background info on German organic cosmetics: Germany is the biggest and most mature organic C&T market in Europe; no other country has so many different organic certifications or strong organic beauty brands and manufacturers. One of the major retail channels for cosmetics is the drugstore sector. There are four big chains – in order of market position: DM, Rossmann, Müller and Budnikowsky – each of which has a successful and very affordable certified own label brand. DM’s Alverde is particularly well regarded. This means that prices for organic C&T start at a few Euros, making it easy for consumers to try out organic brands. 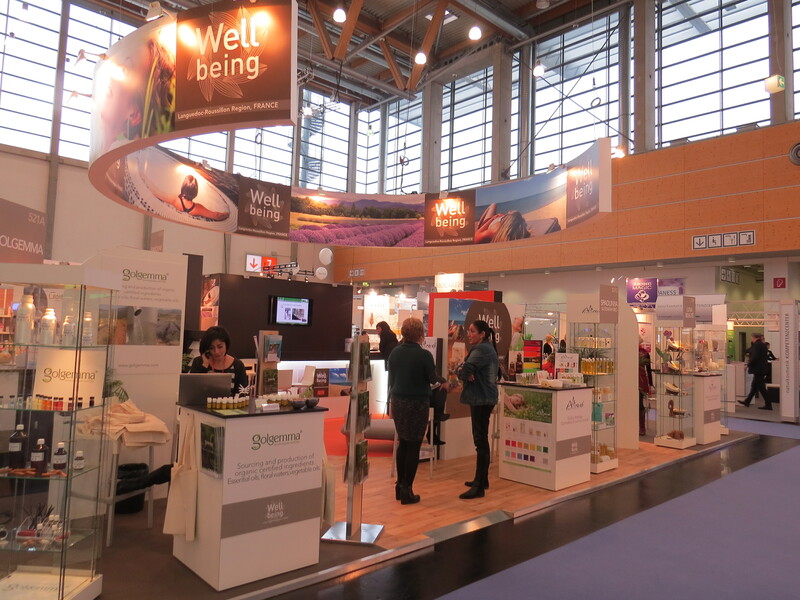 As a result, organic beauty in Germany has become a completely mainstream product category. Certified organic C&T is available in every single retail channel, from discounters and drugstore over specialist stores, Reformhäuser, perfumeries and department stores. Add to this a broad, INCI-educated and highly critical organic consumer demographic and the global megatrends sustainability, and Vegan, and it is no surprise that the organic market has been growing strongly and constantly over the last years. By the way, we’re talking about certified organic cosmetics here, i.e. brands that carry the seals of one of the big (preferably European!) certifying bodies – NaTrue, BDIH, Cosmos Organic, Demeter, Soil Association, Ecocert, CosmeBio or similar. According to the official retail data presented at Vivaness, the market for certified organic C&T in Germany hit the 1bn Euro mark in 2014 – to be precise, turnover reached 1,009bn Euro last year. This is a 10% increase compared to 2013 and it also means that certified organic C&T now accounts for almost 8% of the entire Germany C&T market. Considering that Germany is the biggest economy in Europe, with a personal care market size to match, this is very impressive. Hooray for organic cosmetics! 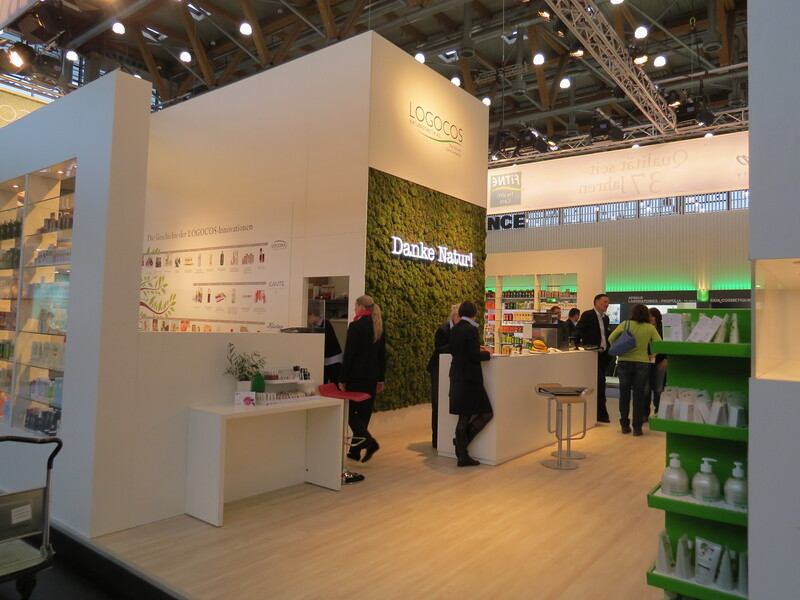 And here are the most important figures about the trade show: Each year Vivaness takes place together with Biofach, the biggest international trade fair for the organic food industry. 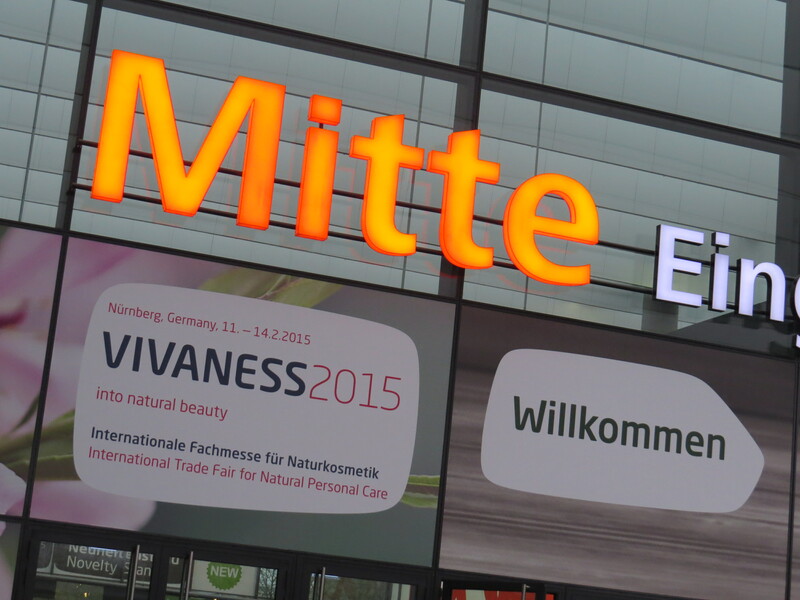 At Vivaness 2015 there were 202 exhibitors from 29 countries. Amongst the exhibitors were 133 international and 69 German companies. The biggest exhibitor countries were France with 42 brands, Italy with 25 companies, Austria with eight brands and Belgium with seven labels. 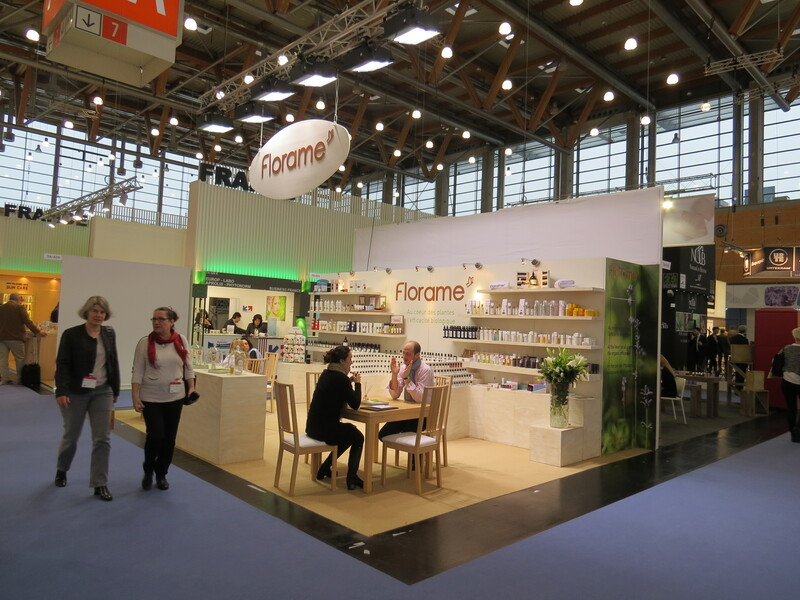 Net exhibition space of the Vivaness trade show comprised a total of 5,116 sq m and the combined visitor numbers for Vivaness and Biofach reached 44,000, an increase of 5% compared to last year. Well done Vivaness & Biofach! And now, without further ado and in no particular order, here are some of the brands that I particularly liked! My personal favourite – and I am still excited that such a brand exists! – is an organic snail mucus product range from Italy. I love, love, LOVE snail cosmetics; this ingredient is hugely popular in Asian cosmetics (snail slime is chock-full of proteins, vitamins, peptides, collagen, elastin and enzymes). My current snail toner is from Korean brand Skinwatchers, I bought the product in Singapore a few years ago and have since then re-purchased it at every opportunity (i.e. whenever I’m in Asia). Much as I love Skinwatchers, it is not entirely organic. 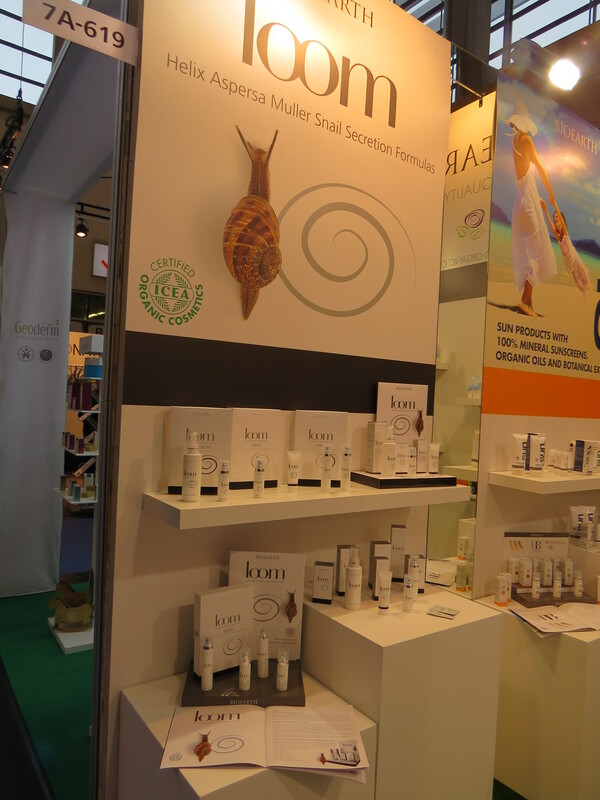 Imagine my delight when I saw the exhibition booth of Bioearth (with their Loom snail mucin range prominently displayed). Bioearth is an Italian company, founded in the 1990s. They have nine product ranges and apparently Loom (launched two years ago) is one of the bestsellers in the company’s home market. 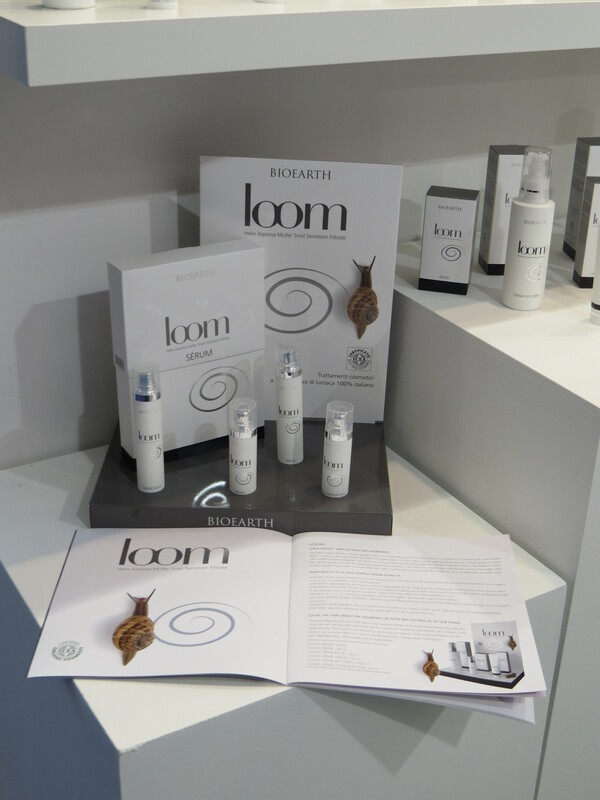 The Loom range includes a serum, two creams, a hand cream, body cream and an eye care cream. In Italy the Bioearth product ranges are sold in pharmacies, organic stores, some perfumeries and spas; in Germany they are, of course, not available in the stores. A note for my international readers: the majority of international brands, especially the smaller companies, attend Vivaness with the aim of finding a German distributor. 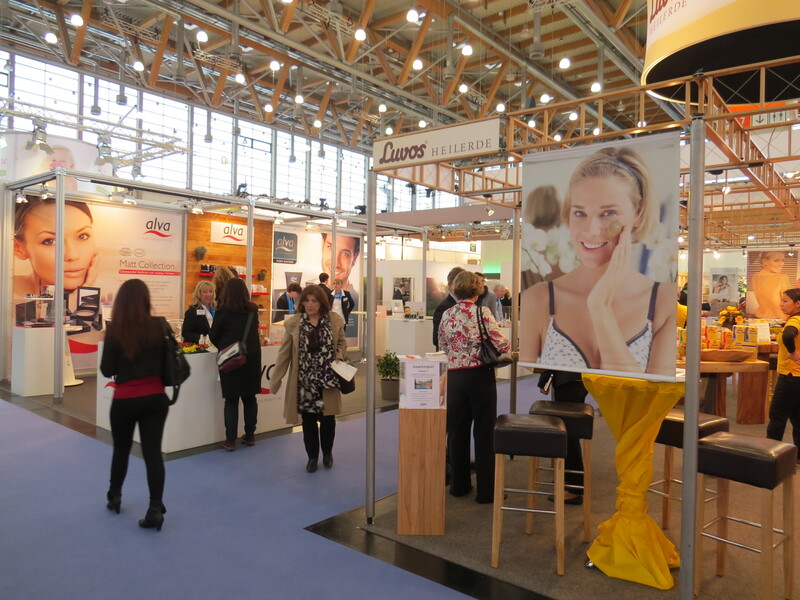 Because the German organic beauty sector is so big, lucrative and well-established, it is a highly desirable market for international brands looking to grow their turnover. However, this also means that it is a very VERY difficult market to crack. But to return to Bioearth: it turned out that most of Bioearth’s ranges are sold by German online store Ecco Verde. I fell in love with the snail serum and after trying it out at the exhibition booth I ordered it online straight away. 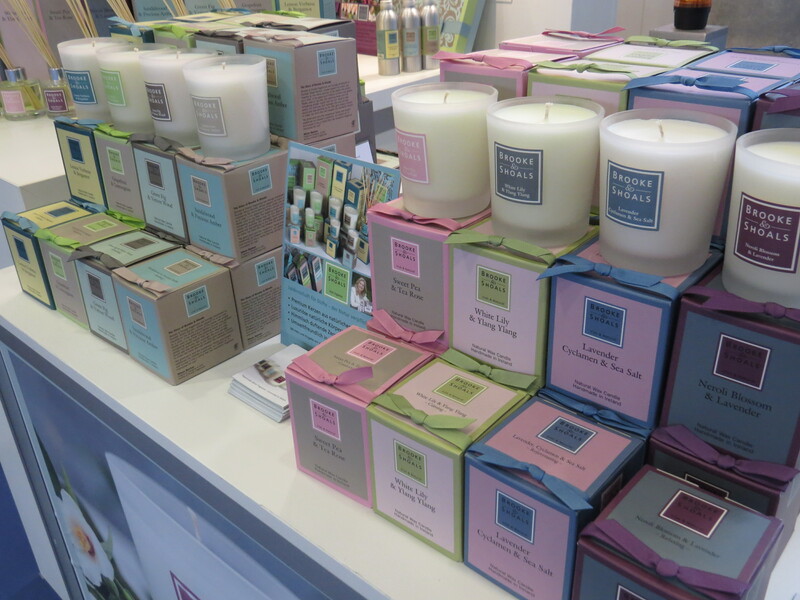 Another of my favourite brands was Brooke & Shoals from County Wicklow in Ireland, a first-time exhibitor at Vivaness. Alison Banton founded her company in 2010; the name Brooke & Shoals, by the way, was inspired by one of Alison’s grandmother’s favourite sayings. The company makes gorgeous scented soy candles – the current line-up comprises eight variants and the collection is divided into floral fragrances (Neroli Blossom & Lavender, Lavender, Cyclamen & Sea Salt, Jasmine, Iris & Rose and White Lily & Ylang Ylang) and citrus/woods fragrances (Lemon Verbena & Bergamot, Green Fig & Vetiver, Sweet Lemon & Linden Flower and Grapefruit & Lemongrass). There is also a seasonal Christmas-spicey candle fragrance. 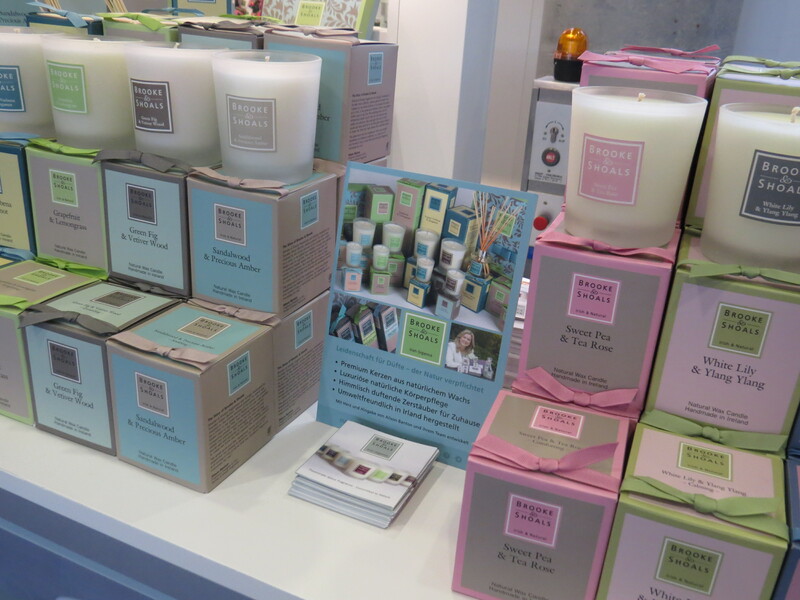 And believe me, the Brooke & Shoals candles smell just as luscious as they sound! The fragrances are also available as reed diffusers. Germany is the first foreign market for Brooke & Shoals and I really hope they’ll find a distributor soon. My SaliFree, also for the first time at Vivaness, is from Austria. It’s a very new brand – launched in June 2014 – which offers organic cosmetics formulated without salicylic acid. Especially suitable for sensitive and allergy-prone skin, MySaliFree products contain rice oil and the current line-up includes face oil, cleansing milk, day cream, night cream and lip balm as well as a body lotion and shower gel. One of the most interesting French exhibitors was Ballot-Flurin, a brand from the Midi-Pyrénées region in the South of France. The founders of Ballot-Flurin are organic apiculturists (beekepers) and they manufacture a wide range of apitherapy products (“bee therapy”, google it for more information!). The products contain honey bee products such as royal jelly, propolis, pollen, honey, wax and so on, and Ballot-Flurin’s line-up includes health-related products (sprays, balms and supplements), honey, beeswax candles and, of course, a range of bee cosmetics (oral hygiene, face and body care). I particularly liked the face care products, especially the 3-in-1 honey face cleanser and the famous Baume de Soin de Pyrénées, an all-purpose lip and face balm. 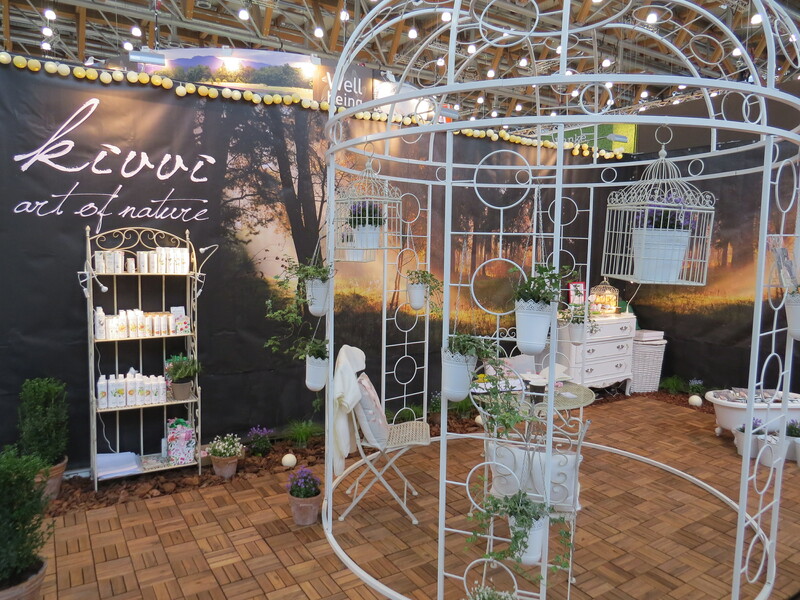 Polish organic beauty brand Naturativ was also at the trade show. I had first met the brand – or rather, founder Magda Hajduk from Aromeda, the company behind Naturativ – on a press trip to Warsaw last September. She gave me some products to try and I really liked them – there is this handcream with lemongrass and coconut oil which is gorgeous! Besides the Naturativ face and body care range Aromeda also has another organic beauty brand, Pat & Rub. However, Pat & Rub seems to be available in Poland only; I’ve seen it at Polish Sephora stores. Naturativ, however, will hopefully find a distributor in Germany soon. 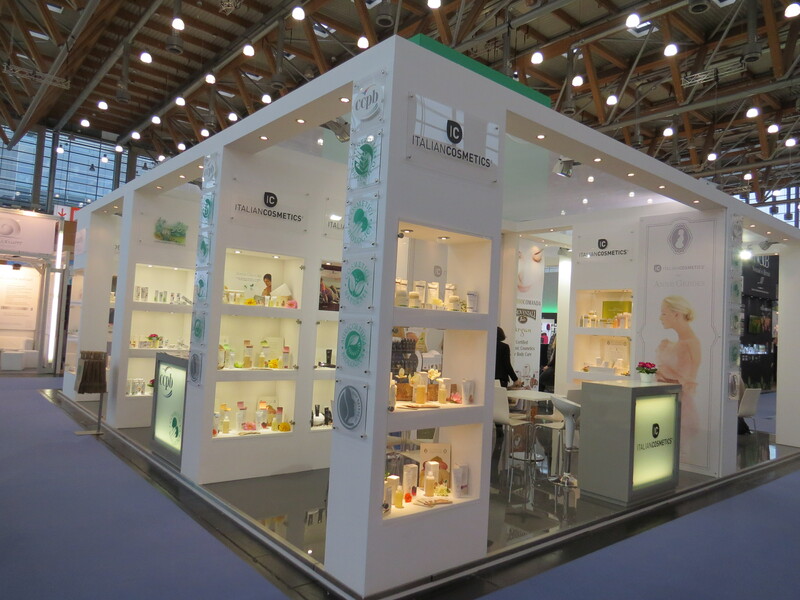 German fragrance manufacturer Florascent specialises in organic perfumes. 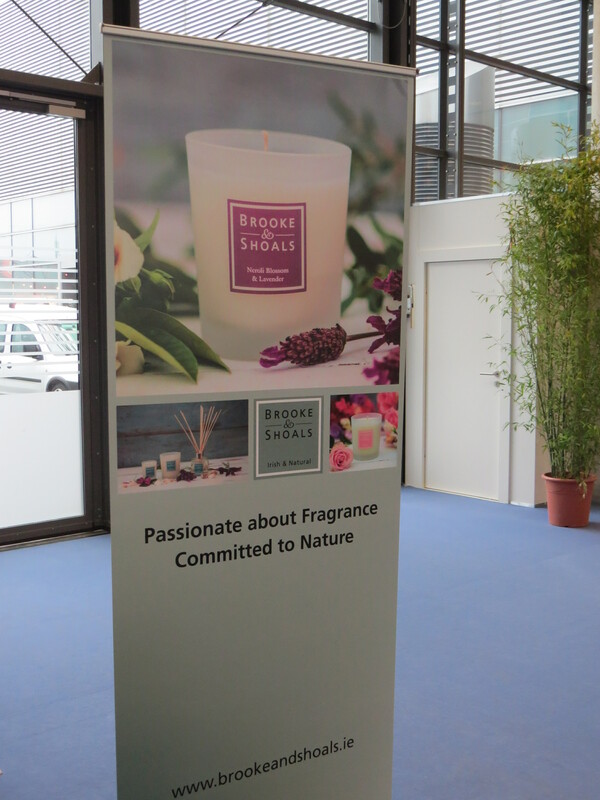 The Karlsruhe-based company was founded in 1996 and their portfolio comprises around 100 fragrances. The core range is the Classic Collection which in turn is divided into Aqua Floralis, Aqua Aromatica, Aqua Colonia, Aqua Orientalis und Aqua Composita. There is also the Düfte Ferner Länder (Fragrances of Far Away Worlds) collection which are travel-inspired perfumes. Finally, there are Florascent Les Exclusives, a range of nine gorgeous EDPs, the Les Petites Fleurs collection – single note florals – and, one of my favourites (of course! ), the Kyoto edition, five Japan-inspired EDPs. The very latest collection – launched in autumn 2014 – is Edition de Parfum, a range of fragrances for a younger clientele. Besides the perfumes, Florascent also offers the Apothecary range, a selection of around fifty different aroma sprays – these are really single note essential oils that come in atomisers and can be worn alone or layered. Now, I love the concept of layering fragrances so I tested my way through the different scents – basilicum, cardamom, bay, star anise, lavender, ginger, myrrh, tonka, frankincense, benzoe, styrax, magnolia, sambac, jasmine, yuzu…..heavenly. Check out their Apothecary website. Erbe Toscani is a small herbal brand from Tuscany in Italy. The family-run company specialises in hand-made medicinal cosmetics – balms, face oil and body oils, soaps, essential oils, hydrosols and of course they also sell dried herbs, spices and herbal teas. The C&T products I saw at Vivaness looked very attractive indeed – the pure oils range includes argan, hemp, coconut, almond and sesame oils, the balm range features royal jelly, lavender, bergamot and juniper variants, there are 13 different soaps and amongst the choice of hydrosols are cypress, hyssop, lavender, rosemary and thyme. Check out their full range at www.antichirimedi.com. 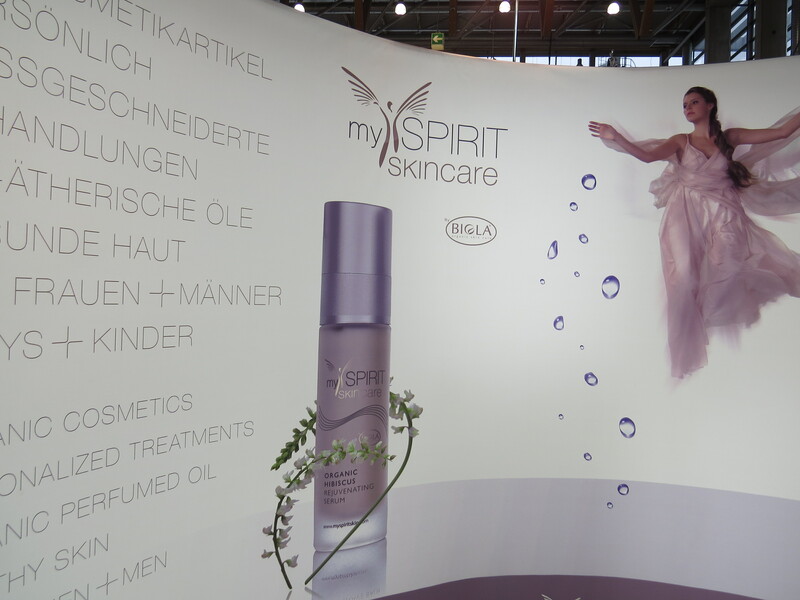 Another brand I liked was MySpirit Skincare from Hungary. It’s a niche hotel brand; developed by (or rather, for) luxury hotel Spirit which is located in the spa town of Sárvár in Western Hungary. 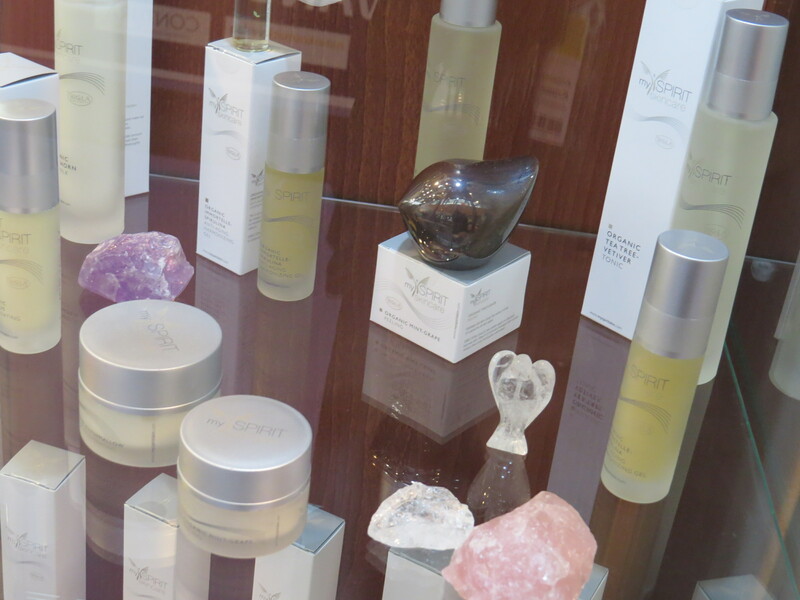 Certified by Biokontroll Hungária, MySpirit Skincare’s products are based on herbal extracts. The range was launched in 2014 and the product line-up includes Hawthorn Face Milk, Tea Tree-and-Vetiver Face Tonic, Melilotus Toner, Hibiscus Serum, Immortelle-Spirulina Gel, Rose-Marshmallow Cream, Edelweiss-Rue Cream, Acai-Hibiscus Eye Cream and a Mint-Grape Face Scrub. There are three men’s products – aftershave tonic, aftershave balm and moisturizer – and four baby products. A very nice range indeed. 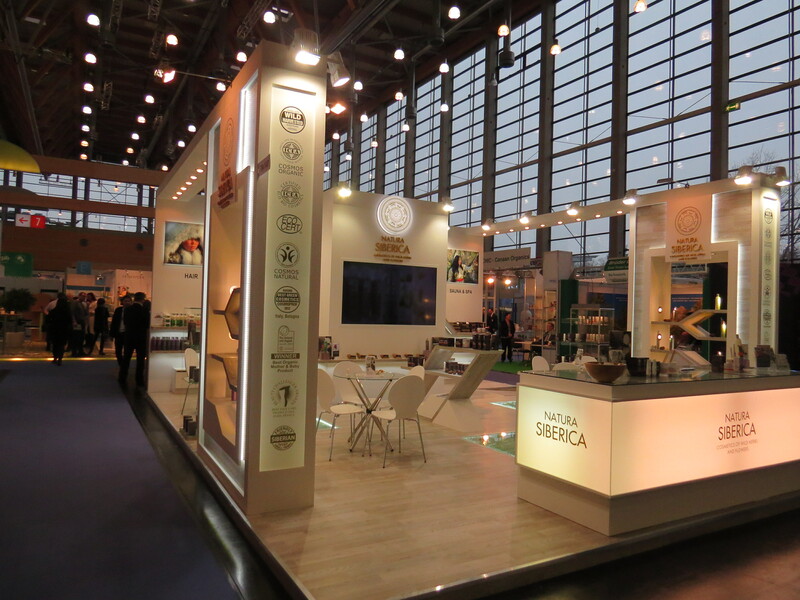 Now, Russian organic brand Natura Siberica is the exact opposite of a niche brand. I frequently see Natura Siberica at the trade shows I visit (most recently at Cosmoprof Asia) so I am familiar with their portfolio. Also, they usually have large and eye-catching exhibition stands! Natura Siberica’s products are formulated with Siberian herbs and ingredients – hence the name – and cover all product categories; they even have a small colour cosmetics range. At Vivaness they introduced some of their latest European launches, including the Bania Detox range of hand cream, foot scrub and foot cream and the Northern Cloudberry range of shampoo, conditioner and hair mask. In Germany, Natura Siberica is only available online. I was also delighted to see two of my favourite Latvian brands at Vivaness. 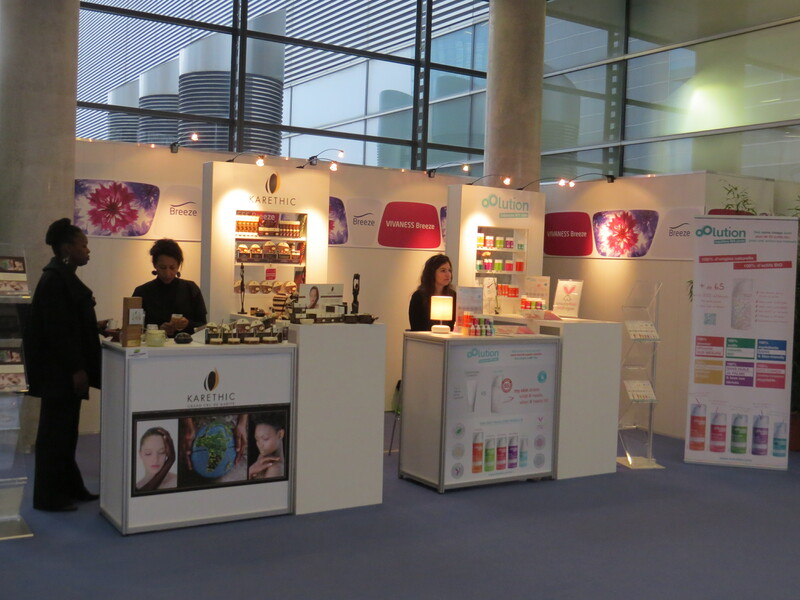 Dabba and Kivvi Cosmetics were first time exhibitors in 2014. 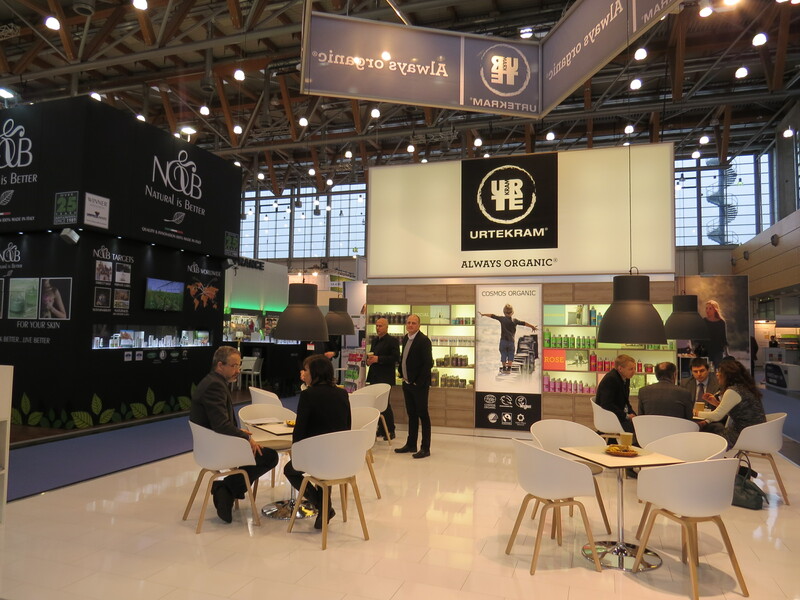 This year, both companies – which are now pretty well established in the German online retail market – returned to Vivaness with much bigger exhibition stands. Dabba makes herbal hydrosols which are, quite simply, divine. Kivvi has a full skin and body care portfolio, check it out online at www.kivvi-cosmetics.com. 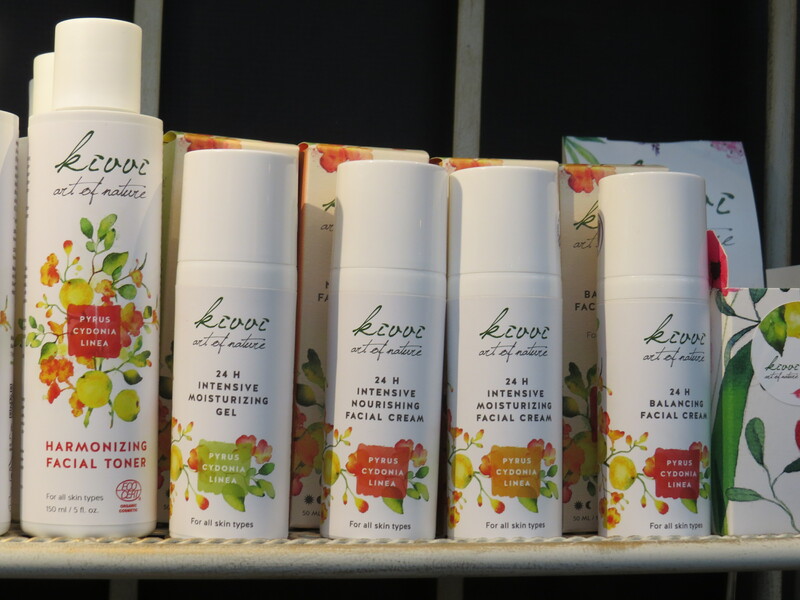 At Vivaness, Kivvi introduced its latest range: Pyrus Cydonia (quince), a 7-sku face care range for younger skin. Colourful and stylish packaging, nice products: the range comprises two facial toners (moisturising and harmonizing), a facial wash, a balancing face cream, moisturising face cream and nourishing face cream and a moisturising gel. Both brands are available at online perfumery Hilla Naturkosmetik, a store that specialises in organic Scandinavian and Baltic niche brands. 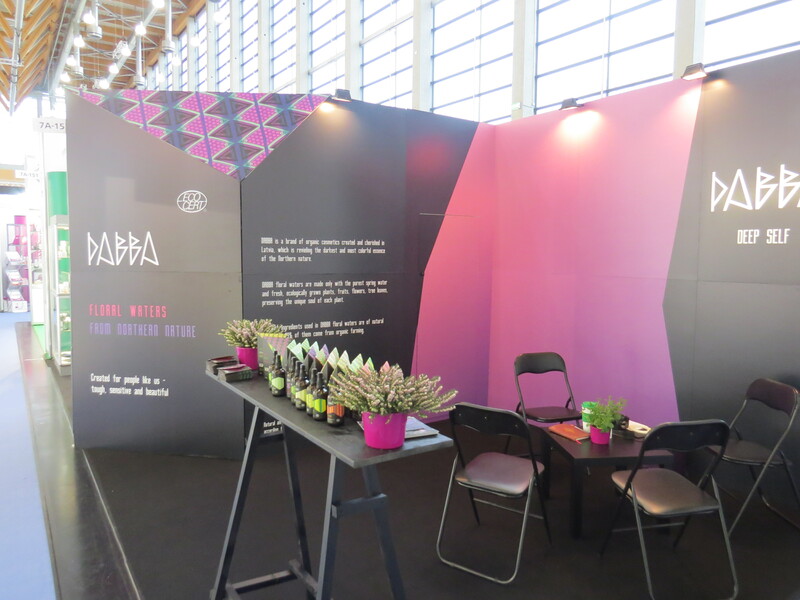 A Lithuanian brand which I was keen to meet was Aromata Mirabilia. I had come across Aromata whilst researching and writing an article on the Baltic C&T markets last year. 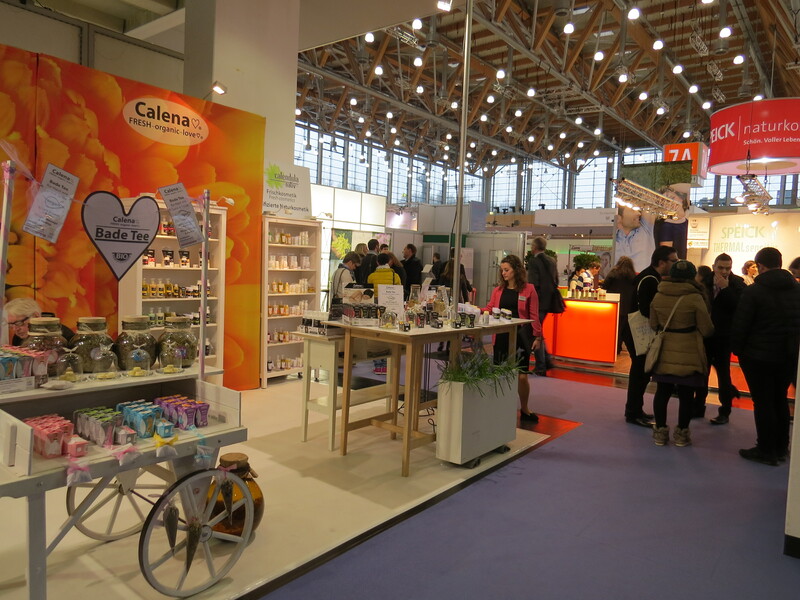 Organic beauty brands from the Baltic countries have become very popular in Germany and internationally. Aromata Mirabilia was established in 2007. The company claims that it is the biggest Lithuanian manufacturer of organic beauty products and their product portfolio includes a vast range of pure oils, infused oils and oil blends, face balms and face creams and hydrosols as well as a lipstick range. I’m a big fan of face oils and hydrosols and was bowled over by their product choice, especially by the more unusual varieties. The face cream line-up, for example, features variants with carrot & yarrow, aloe & sea buckthorn and lavender & frankincense. And their range of pure oils – whilst of course including standard oils like jojoba, almond, soy, apricot, avocado and so – also offers more unusual nut and seed oils, like hemp, moringa, marula, hazelnut, safflower, raspberry seed or borage. Aromata Mirabilia also sell different types of shea butter, mango butter and macadamia butter and their line-up of 20 (!) hydrosols includes variants such as rock rose, wild carrot, frankincense, champaka and parijata, mastic, myrtle and geranium. Check out the product selection in their online store! Two of my favourite Danish brands, Urtekram and Unique, were also at the show. Urtekram (founded in 1972) is a big, well-established organic brand which is widely available in Germany and around 30 other international markets. In the Scandinavian countries, by the way, the company also retails a very wide portfolio of dried foods and grains, spices and teas. Who knew! Anyway, I like Urtekram very much; since their packaging relaunch in early 2014 the products look even more attractive. On the occasion of Vivaness, the brand introduced three creamy shea butter body balms (Pure, Argan Lavender (delicious!) and Musk Rose) as well as three detangling sprays in the Aloe Vera, Rose and Children’s hair care ranges. Unique is a fairly new niche brand. Their hair care and body care portfolio is based on whey proteins which are listed as the second or third ingredient in the INCI lists. This is rather unusual as far as shampoo formulations are concerned; shampoos usually have tensides in second or third place. It also means that the shampoos are very mild. I’ve been using Unique shampoos ever since I discovered the brand a few years ago. At Vivaness Unique presented two new styling foams and a hair oil and later this year they will introduce an entire face care range. Unique is another brand which in Germany is only available online at the moment. A completely new discovery (new to me, anyway), was a charming Finnish skin and body care brand, Mellis. The founders of Mellis were apiculturists and the company originally started out making beeswax candles. 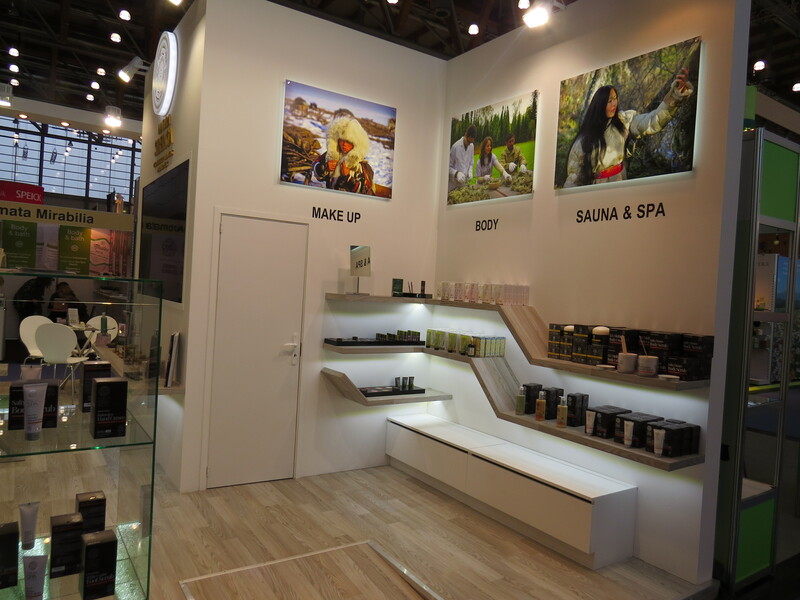 Then Mellis expanded its portfolio to include skin and body care. The Mellis products are formulated with many local and uniquely Scandinavian/Northern European ingredients such as bilberry extract, birch sap and peat extract. The portfolio consists of two product ranges: Silva Arctica and Sauna Artica. The Silva Arctica range includes a camellina massage oil with juniper & angelica extracts, a camellina oil based massage lotion with cranberry extract & white peat, two facial masks (moisturising mint chocolate & honey and white peat & birch sap which is more of a cleansing mask), a gentle scrub with strawberry seeds, a moisturiser with birch sap & bilberry extract, a hand cream with linseed oil & honey and a foot cream with mint oil. The Sauna Arctica range features six body care products that are especially suitable for use in a sauna. The line-up includes a gentle body scrub and five different body creams – variants even include a cream with pine tar & honey! All products are certified by NaTrue and at the moment Mellis is only available online, at least in Germany. I hope they’ll find a distributor soon, the products are really nice. The most unusual – not to say: weirdest! 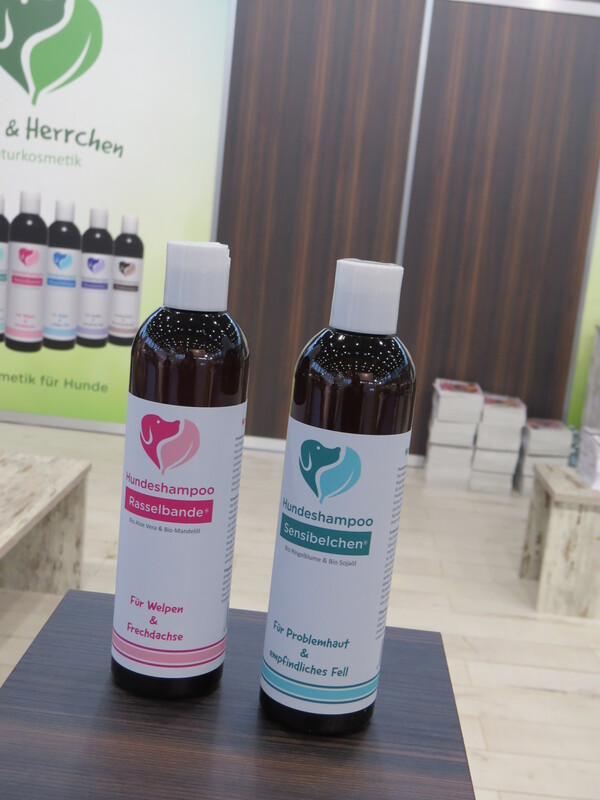 – new product introduced at Vivaness was Hund & Herrchen, a 7-sku range of dog shampoos. Yes, really! Check out the pics below! Manufacturer Yeauty, who also produce the mass market organic personal care brand Nonique, decided that the time was right for a line of organic dog care. Apparently pet grooming is a growing market and it makes sense that if you’re a sustainably oriented dog owner who uses organic personal care, you’d buy organic shampoos for your dog, too. I was also told that dogs need to be shampooed regularly and quite frequently. Never having had much to do with dogs I was interested to hear that. You learn something new every day. 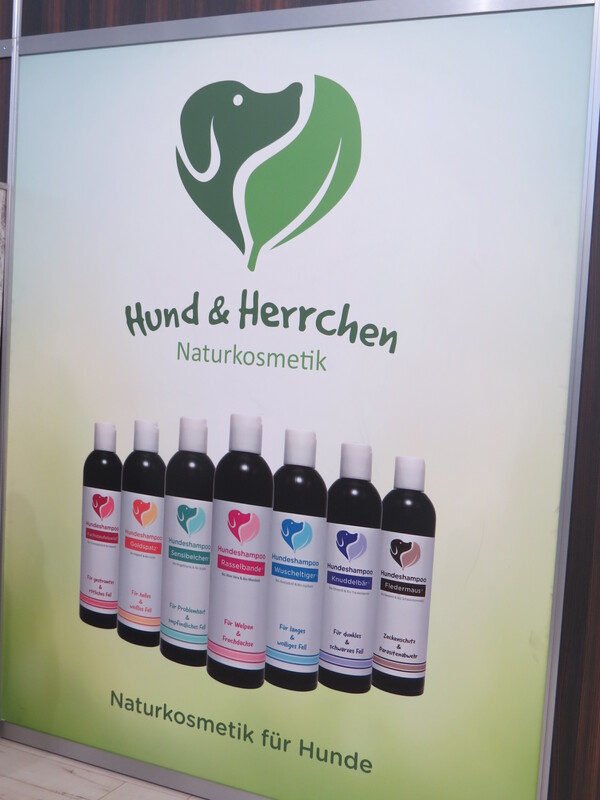 Hund & Herrchen includes variants for light fur and dark fur, for sensitive skin, for long fur, for curly fur…amongst other hair types! 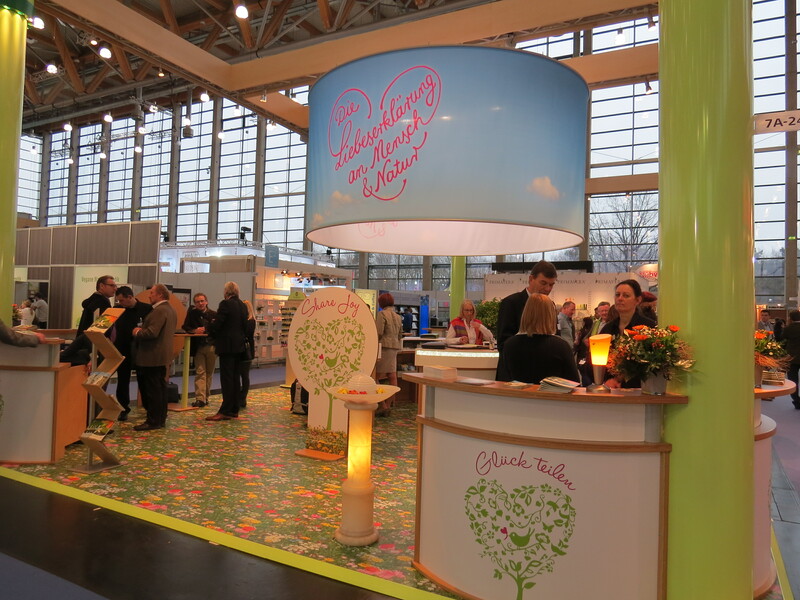 And at the Vivaness Best New Product Awards – which took place for the first time this year; the Vivaness trade visitors voted for their favourite new product at the show – Hund & Herrchen received the accolade in the “speciality cosmetics” category. The next Vivaness trade show will take place from 10th to 13th February 2016!